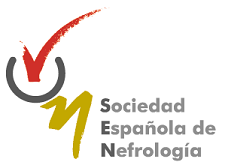 Nefrologia is the official publication of the Spanish Society of Nephrology (Sociedad Española de Nefrologia) and is referenced in the Web of Knowledge of the Institute for Scientific Information (ISI.) It is included in the MEDLINE, EMBASE, IME, IBECS and SCIELO bibliographic databases. The summaries are published in Current Contents-Clinical Practice, Current Advances in Biological Sciences and other ISI publications. Full text versions of articles can be accessed on the Nefrologia website (www.revistanefrologia.com), including the English version of regular issues; the full texts are also included in SciELO (scielo.isciii.es/scielo.php). The summaries in English are included in Excerpta Medica and in PubMed. Nefrologia publishes articles on basic or clinical research relating to nephrology, arterial hypertension, dialysis and kidney transplants. It is governed by the peer review system and all original papers are subject to internal assessment and external reviews. Nefrologia follows the publication requirements of the International Committee of Medical Journal Editors (ICMJE). Nefrologia publishes 6 regular issues per year, and also has a Continuing Professional Education issue (nefroplus) and a series of supplements and special issues on topical themes, including issues of Nefrología Basada en la Evidencia (Evidence-Based Nephrology). All the content and supplementary material published in Nefrologia, Nefroplus and other Nefrologia or Grupo Editorial Nefrologia publications are available on the Nefrologia website, which can be accessed free of charge. Nefrologia regularly publishes the following content: 1) Originals; 2) Short originals; 3) Reviews; 4) Short reviews; 5) Editorial; 6) Editorial commentaries; 7) Case reports; 8) Letters to the Editor; 9) Other sections: special articles, forums, summaries of congresses, nephrology images, notes on techniques, diagnostic problems, etc. 12) The sections Evidence-Based Nephrology, Controversies in Nephrology, Statistical Data (original articles with data and analysis of records such as dialysis and transplants) etc., are published on an occasional basis and each particular cases has its own characteristics as defined by the editor. Depending on the type of study (clinical trials, observational studies, systematic review, diagnostic studies, etc) authors should follow the appropriate EQUATOR network guidelines. 1) Originals: papers on empirical research of a maximum length of 5,000 words, excluding the bibliographical references, with a maximum of 50 references and of nine tables and figures. 2) Short originals: same content as previous articles, with a maximum length of 2,500 words, four tables or figures and 25 bibliographical references. 3) Editorials: requested by the editors or proposed by the authors, with a maximum of 2,000 words, two tables or figures, and 30 bibliographical references. No abstract,. 4) Editorial commentaries: requested by the editors or proposed by the authors, commentaries on articles published in the same issue or previous issues of the Journal. The purpose is to put the subject matter of the article in question into the context of current knowledge, to highlight its main contributions, as well as the areas which the research should examine in more detail. The maximum length is 3,500 words, no abstract, three tables or figures and 40 bibliographical references. Include a “Key concepts” section summarizing the article’s main ideas in point form using short sentences. 5) Reviews: exhaustive analysis on specific themes in nephrology. Requested by the editors or referred on the authors’ initiative. Will be peer reviewed. Maximum of 5,000 words, nine tables or figures, 150 bibliographical references, a 50-250 word abstract (objective, data sources, selection of studies, data extraction, data summary, conclusions) if it is a systematic review summarizing the article’s main ideas in point form using short sentences. 6) Short reviews: reviews on very specific themes, written in a concise and clear manner. Maximum of 3,500 words, six tables or figures, 50 bibliographical references, a 50-250 word abstract, and a “Key concepts” section summarizing the article’s main ideas in point form using short sentences. 7) Clinical cases: maximum of 2,500 words. Structured into an introduction, description of case (diagnostic procedures, development, treatment and conclusions), a table with analytical data and, if possible, graphs showing the development of the case and figures, with a maximum of five in total. It must be presented in an attractive, clear and concise way, and with an educational purpose. Nefrologia will publish cases which are exceptional in their presentation or in the use of diagnostic or therapeutic procedures. Other accepted ones will be published in NefroPlus, which is Nefrologia‘s Continuing Professional Education edition. 8) Letters to the Editor: relating to articles previously published in Nefrologia or which provide succinct or preliminary information on clinical experiments or clinical cases of interest. Structured into: Comments on published articles, brief notification of research or clinical experiments and brief case reports. Maximum of 800 words, two tables or figures, and 10 bibliographical references. 9) Nephrology images: illustrative images about pathology, radiology, skin lesions, etc. indicating scale by using markers within the microphotographs. Each article may contain up to four illustrations, with sufficient contrast, clearness and a figure caption including the title. Accompanied by a text up to 500 words and 3 references. Mention the details that are being highlighted in the figures with characters a-z, numbers, symbols or with arrows, which must be of a size that is clearly legible even after the image has been scaled down. 10) Notes on techniques: descriptions of new techniques as well as modifications to existing ones in the clinic, laboratory, imaging or vascular access techniques, etc. Up to 2,000 words, abstract, two tables or figures and 20 references. 11) Diagnostic problems: a diagnosis is proposed based on a previous statement, with a single question and a concise answer. One illustrative diagram is allowed.Up to 500 words and five references. No abstract. The journal is published in Spanish and papers in English written by non-Spanish speakers are accepted. All content in the regular issues also have a full English text version in addition to original version which can be accessed on the website.